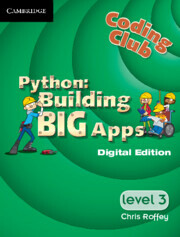 Build more sophisticated apps with Level 3 Coding Club! Following on from Python: Next Steps, this enhanced digital resource explains how to break down projects into manageable chunks, guiding and supporting you with building larger, more exciting projects. Activities include building a version of Pong, a Breakout game and an Invaders game, developing and learning the necessary skills to build larger apps on the way. 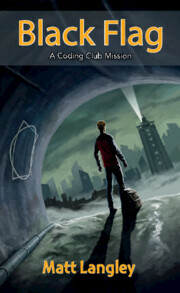 The code is suitable for Mac, Windows and Linux users and compatible with the Raspberry Pi. Accessible online or on tablet devices through the Elevate app (iOS 7.1 and higher and Android 4.1 and higher). Accessible online or on tablet devices through the Elevate app (iOS 7.1 and higher and Android 4.1 and higher).